BE/ BTECH (Computer Science/ IT/ ECE)/ ME/ MCA required in RedHat, Bangalore. Education: BE/ BTECH (Computer Science/ IT/ ECE)/ ME/ MCA from a recognized University. Posted in Apply online, Computer Science, Electronics and Communication, IT, Job After Btech, Jobs after ME/ MTECH, MCA, Without Experience. 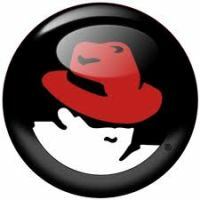 Tags: Apply online, bangalore, Fresher Jobs, Recruiting, RedHat, September 2012., Software Engineer–Intern on September 15, 2012 by kavita joshi. BE/ BTECH/ ME (Computer Science)/ MCA required in RedHat, Bangalore. Educational Background: BE/ BTECH/ ME (Computer Science)/ MCA from a recognized university. Posted in Apply online, Computer Science, Freshers, Job After Btech, MCA, ME, With experience, Without Experience. Tags: Apply online, August 2012, hiring Freshers, Jobs in Bangalore, Quality Assurance Associate Intern, RedHat on August 20, 2012 by kavita joshi.